Kogel Bearings makes high quality ball bearing products for bicycles. During a recent trip to Belgium, I had a chance to sit down with Philippe van Eekhout of Velodome in Antwerp. You know you’re doing things right when The Cannibal shows up shopping for bikes. See the full Velodome interview here. We discussed how he and his partners built a concept store and restaurant in the former stables of the De Koninck brewery, how they turned a 200 year old building into a modern bike shop. Velodome was the exclusive Rapha dealer for the entire Belgium, Netherlands and Luxemburg. We look at the new brands they found and promote since Rapha decided to end their presence in retail stores. Another interesting subject was the enormous rise of e-bikes in Europe, how they took over the majority of bike sales in a shop that was mostly aimed at road and mountain bikes. We look at how the EU supports people with tax benefits to get them out of their cars and onto e-bikes, but at the same time is struggling with regulating these hyper fast bikes on public roads. Modern bikes on a centuries old cobblestone shop floor. Velodome is a travel destination. With the days shortening and Kickr season right around the corner, I thought this is a good time to share some of the best cycling documentaries and tv-shows I have seen recently. Nothing helps kill time like staring at the screen when the indoor trainer is testing your mental stamina. Being a lover of most things on two wheels, I hope I managed to find a good mix of all cycling disciplines. I have posted links to Youtube where I could find them. Others are available on Netflix. The return to racing and the fall of the Armstrong empire are shown, maybe in more details than we need to know. Here’s a cycling block buster, but consider it for a second viewing if you have seen it. Where everybody knew the basics of the Armstrong story after the collapse of his empire in 2012 and early 2013, this movie shows how much force he used to silence his opponents. What ‘winning at all costs’ really means. As much as it established my opinion about Armstrong being the best of the cheaters and therefore his achievements are still somehow respectable, it mostly left me with a sour feeling seeing the lengths LA would go to to protect the fame and fortune he built for himself. The most interesting parts might be the interviews with Dr. Ferrari, a man who is known to not speak much in public. After the doping riddled history of cycling, Clean Spirit shows a new generation of cyclists. It follows the Argos Shimano team (currently Team Giant Alpecin) participating in the 2013 Tour de France. It documents the rise of new sprinting super star Marcel Kittel, who beat Cavendish and Greipel multiple times and we see a young Tom Dumoulin and John Degenkolb as parts of Kittel’s sprint train. 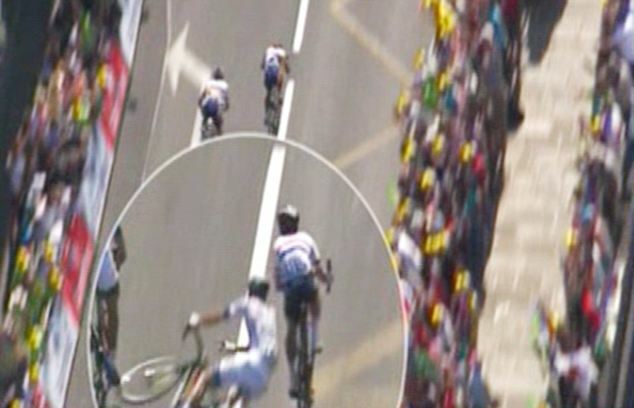 The most impressive part for me was the famous takedown of Tom Veleers by Mark Cavendish in full sprint. The aftershock of Cavendish apologizing via Twitter, but not willing to meet Tom face to face is shown in great detail. Tom Veleers hits the deck hard after Mark Cavendish changes sprint line. Click on the photo for youtube footage. Here’s a look into the heart of Flanders. It’s known fact that Belgium has cycling flowing through its veins. The 9 episode series was shown on national television, telling stories about the lives of several families on the day of the 2010 Tour of Flanders. It’s dark humor, mixed with touching stories and amazing cycling footage. The directors had access to place cameras in several team cars and got the Sporza presenters to act in the show. Everything just flows perfectly between the race footage and the fictional story. The first episode is a bit slow and many characters are introduced, but as soon as the race kicks off it’s al gogogo. Subtitles are available on youtube. The creme de la creme of Belgian actors and a chance to relive what was probably the best head to head competition between Boonen and Cancellara. Part of a reality show called Superfans, Frans is not a fan of Eddy Merckx, he thinks he IS Eddy Merckx. The two clips kick off with Frans mixing raw egg and Flemish sour beer for breakfast, just like Eddy. Frans shows his Eddy Merckx replica bikes and jerseys and how he rides the indoor trainer like Eddy. The second clip shows Lookalike Eddy gluing a tubular in 30 seconds, racing his orange bike across the cobbles just like… well you get the idea. Unfortunately, no subtitles on these clips, so you will have to sit through the parts of the wife frustratedly saying ‘I married Frans, not Eddy’, but it’s a good watch. The same Superfans series followed fans of Sven Nys and how they dedicate their lives to chasing their hero to the races and on training loops. I’m sure you can find it with a Google search. Frans truly believes he is Eddy Merckx. Follow this link for a bonus feature of lookalike Eddy celebrating the Cannibal’s 70th birthday. The longest mountain bike race in the world stretches 2700 miles from Canada to Mexico, following the Rocky Mountains. The race is non-stop, so whoever sleeps is losing time. Brutal! The race footage is good (don’t expect any Nino Schurter speed climbing or artificial rock gardens), but the scenery is the real winner here. I hope this is enough footage to pull you off Zwift Island or the Sufferfest videos when its time to cruise through a snow storm. Interbike brings a lot of excitement for many, which was shockingly obvious looking at the amount of people hanging out at Mandalay bay an hour before opening. It’s like waking up on Christmas morning, but for bike geeks. Walking the isles, meeting like minded people and looking at all the bling makes me feel like a kid at the Oakley store. Only 5 big halls worth of that. So without further ado, here are some of the gems we found in random order. Abbey bike tools bearing press. It’s no secret that I’m not a big fan of the available bearing press tools on the market. It was only a matter of time before Abbey Bike Tools stepped up and redid it from the ground up. An integrated bearing to avoid rotational forces while pressing, a removable, magnetic lock nut (patent pending). I like what I see. A lot! This press was in prototype stage, but I’m sure Jason Quade will redefine this tool the way he did with his previous releases. I’m hoping for a wide range of bearing drifts to fit all wheels, bottom brackets and head sets. Two versions will be available, a shop version and a light weight edition for traveling race mechanics. Alto Velo is a new company that redesigned their hubs to have a solid axle from side to side for maximum stiffness. They added high flanges on the drive side to balance out the spoke tension. This in the end leads to a low friction, high stiffness wheel build. It is the smarter-not-harder approach that really spoke to me. They do all their machining in Florida in order to control the super tight tolerances that make these hubs great. Bobby Sweeting is the CEO of this new start-up. Keep an eye on him and his team. Their products might be showing up in the media and your local bike shop soon. smarter, not harder. That is the impression these hubs left on me. 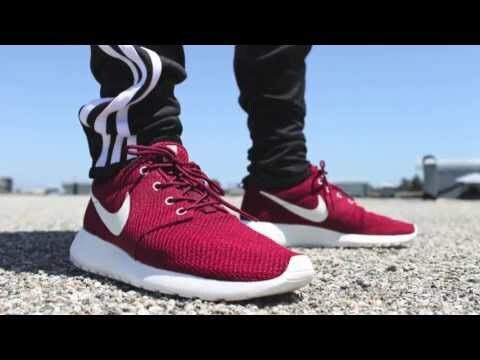 Zoca is a custom clothing company out of San Diego. The cool thing is that their production is all done in house. USA manufacturing with Italian fabrics. The best of both worlds! The most impressive piece in their booth was this speed suit. I have no info about wind tunnel numbers, but it was super impressive because the entire suit is cut out of one piece of continuous fabric. There are seams all over that just seem to start and end in the middle of panels. According to sales and marketing director Jason Schutz, this piece has been in development for over a year. He referred to it as ‘a big origami project’. Boo have been around for a while, but seeing the bikes in person made me realize how much eye for detail is in these frames. The carbon and bamboo sections flow so well into eachother, it is just amazing. Nice detail is how they used two bottom cups in the head set to keep a straight 1,5 head tube and space everything out correctly. That’s right, two bottom headset cups. Note how the text is upside down on the top cup. That’s it. We’re sorry for not updating this on the day we shot all the footage, but something got in the way. CROSSISHERE!!! Check in tomorrow for more shiny bits. Danny Summerhill debuted for Maxxis-Shimano on Kogel Bearings. Our first time involved as a jersey sponsor. Keep an eye out for this team tearing up the US CX scene in the months to come. It sure got windy, destroying every opportunity to shoot quality video. Stay tuned for footage to come from the indoor days at Interbike. Alchemy Bicycles won the best carbon lay-up at the most recent edition of the North American Handmade Bicycle Show. The hardtail frame on display at outdoor demo was painted in a mix of matt and shiny black. The shiny parts were sometimes transparent, exposing the raw carbon and sometimes full of sparkles. I spent a good couple of minutes moving around this frame. a subtle black glitter when looking from another vantage point. The frame has an amazing looking one piece rear triangle and fancy looking derailleur hanger. Walking from the parking lot to the entrance of Outdoor Demo, e-bikes were flying by me left, right and center. Seriously, they’re everywhere. This brute caught my eye, it looks like it fell straight out of a Batman movie. The friendly German men in the booth told me it was an 880 watt motor that can run 150km on a single charge on a flat road and hits 75 kilometers an hour (In miles per hour that means Scary Fast). Unfortunately the batteries did not make it on the flight so I could not take it out for a burn-out session. The batteries were supposed to be delivered later that day, so I might go back for some action. The website of M1 seems to be down, but here’s their Facebook. Have a look at the end of this video, it sure looks like a lot of fun. The Tufmed booth had so many people standing around it, it made me turn around and have a look at what they had to offer. Comes out it is a relatively new company that makes recovery creams for people that deal with muscle soreness and bruises from training. As a person that, according to my wife, grabs every opportunity to bash my head in, this seems like a product I have been waiting for. It’s all odorless and natural, no chemical ingredients, so it definitely won’t hurt to give Tufmed a try. Tufmed’s promise to athletes is to heal bruises, soreness and injuries quicker to get you back to training as soon as possible. Sweeeeeet! These hubs have been featured on several media, but actually holding them made me realize how crazy light they are. Weighing in at 73g for the front and 160g for the rear, according to the bikerumor.com scale it is just unreal. The popular combination of matt and shiny carbon makes them look extra fast, the wavy flanges look unlike any hub on the market. They run on DTSwiss internals and Ceramicspeed bearings for that little bit extra speed. Availability should be in a few months. Just take my money, OK? All 1350 dollars of them. Wheel sets built with these hubs are going to take $3.5K out of your wallet, which seems like a better deal. Stay tuned for more amazing finds in the next few days! Seeing the inside of many shops in the US each month shows us that anybody on the service floor knows how to press a bottom bracket. We also see many different techniques and tools used. Some good, some sub-optimal. The most important instruction we can provide a mechanic with is: avoid putting any load on the inner race of bottom bracket bearings at all times. Key to this are quality tools that fit exactly for the purpose. Installing a bottom bracket with a hammer and wood block, or even without the exact matching shims for your bearing press is like tightening an allen bolt with a screwdriver: It might work, but you will destroy your tools and parts in the process. This write up will provide a step by step on how to press a bottom bracket without crushing the bearings. It will also give some valuable tips on how to avoid creaking. Grease is your friend. Use a lot of it! The best stuff we have found is Morgan Blue Aqua Proof Paste. It is (sometimes) available through Kogel Bearings. Use any other marine grade grease if you cannot get your hands on this magical product. Remember: the stickier the better for installations. Start by cleaning out your bottom bracket shell and applying a thick layer of grease to the contact area. Again, do not skimp on this. More is better. It will prevent the grease from washing out easily if you ride in the rain. Repeat the same for the bearing cups. Thick layer of grease. We will wipe off the excess later. Note how this drift fits exactly in the bearing opening and is all flat from there, it only touches the bearing cup. The number one goal when pressing a bottom bracket is to avoid putting pressure on the inner race. That would crush the balls into the races and leave them pitted a.k.a. ready to meet Mr. Trashcan. Here is a fancy new tool we developed. The Frame Guide on the right side of this photo centers the bearing press in the frame, while we press the cups one at a time. This is the most critical step of pressing the cup. Tighten the press until the cup touches the frame, do not give an extra twist on the press handles for ‘extra snug’. You just destroyed your bearing races. Note how the grease squirts out from underneath the flange of the cup: the top picture shows the grease sitting inside the width of the cup. As soon as the cup gets close to the frame, it squirts out. You’re done! Back off! Install the second cup by hand, just slide it into place. This is a good moment to check on the inside of the bottom bracket shell to see if everything lines up well. No cables and Di2 wires flopping around? Sleeves nicely tucked in place? It’s all good. Time to press in the second cup. Note how both bearing drifts only touch the blue cup. 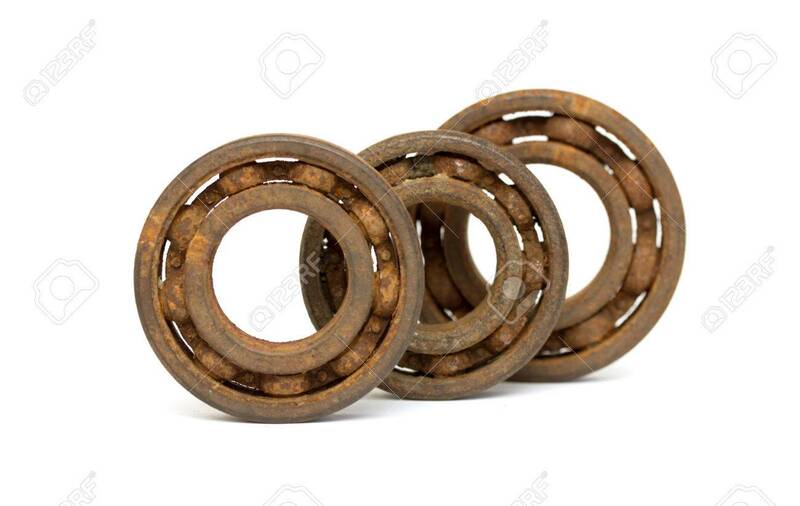 At no point is there any contact with the bearings. Watch for the grease squirting out at the shoulder of the cup and stop yourself from ‘giving it some extra love’. More grease! Put it both on the crank spindle and inside the bearing opening. Spread it with your finger or a brush. A big advantage of using grease over retaining compound, is that it wipes off with a rag when you’re done. Use too much rather than not enough. This is also a good moment to clean the backside of your chain rings, unlike what we have done here. Pro tip: radial ball bearings, which are used in most bottom brackets, are designed to run without any side load. Zero. None. Tighten the plastic adjustment bolt on your Shimano cranks or the adjustable dial between the arm and bearing on most Sram BB30 cranks to the point where you feel pressure starts to build up. Then back it out again to the point where it is impossible to move the crank laterally but the pressure is gone. Your bearings will thank you and you will ride up those hills a little bit faster. 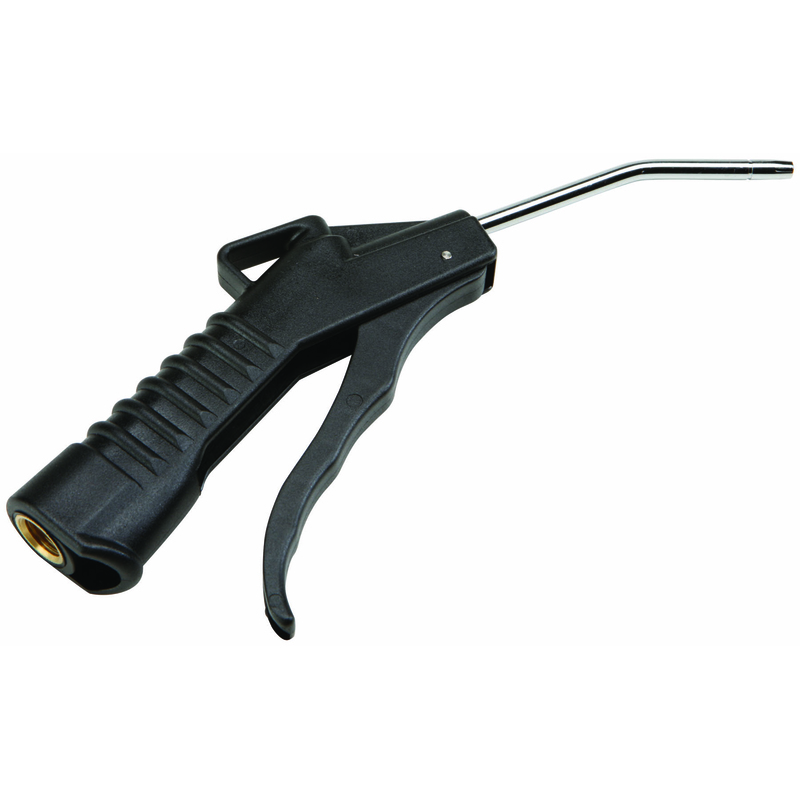 Torque wrenches are amazing tools. Use ‘em. Ball bearing warranties, or the lack thereof. People ask us a lot of questions about Kogel’s ‘very few questions asked’ warranty. I thought this is a good moment to explain in detail why we offer this service and how we handle it. With premium bike parts having big dollar price tags nowadays, nothing is more frustrating to me than buying parts and having them blow out before I feel I got my money’s worth out of it. My most vivid memory is a set of mountain bike tires that I saw on Christoph Sauser’s mountain bike during a world cup event in Belgium. His team even brought a tire guy. In other words, someone who only handled tire installation and pressures for the team. How pro is that? I chatted a bit with this pneuchanic and walked away from the conversation, determined to find these magical tires and getting myself up to Sauser speed. Of course I was not the only bike nerd watching the race, so when I went out to buy the new black gold addition to my bike, it was sold out everywhere. After finding them in an obscure web shop and paying well over msrp, I ripped the sidewalls on both tires during the second and third ride. I don’t remember ever buying tires from the same brand again. Stuff happens, but twice to a new set of tires does not encourage me to buy from the same brand again. Another story involves myself using a long list of profanities in a forest in the Ardennes, 11km in one of my main races for the year. In my hand was my brand new, ultra light saddle. Or at least the top part of it. The rails were still firmly attached to my seat post. (I would like to state here, that I was well within the weight limit for said saddle. At least at time). Point of this story is that I do not mind at all to spend my life savings on shiny bike parts, but I absolutely hate it when they do not live up to reasonable expectations. There was absolutely no form of warranty on the tires I shredded within a few hours and it took a long battle with the manufacturer to get the saddle replaced. When I started Kogel, I wanted it to be the company that I would love to be a customer of. This means high quality products that actually improve performance for cyclists, but as well a company that people like to connect with. This is why we pick up the phone when you call, or we return your call if we missed it. On a product level that means we want you to be happy with your ball bearing purchase. If that means we have to replace a product every now and then when your mechanic was a bit ham fisted, or occasionally if a good customer was not aware that cleaning a bike with a pressure washer is a no go, so be it. I always felt that as long as we make a top quality product, we are going to have a low number of returns and that rule holds up until today. We have calculated a small margin for error in our pricing, because we know our products are not perfect. How can we expect everything to work flawless if you imagine the forces we send down from our quads to the tiny contact surface between our races and ceramic balls. It is an engineer’s nightmare if you think about it. That small buffer allows us to turns frowns upside down when we get warranty claims. If we do our job so well that there are no claims, we can add it to our bottom line at the end of the year. How good is that? With that said, at Kogel Bearings we believe in the honor system. Our golden rule is: if you claim your fifth warranty and the neighbor shop has not claimed any, that’s when we start asking our ‘very few questions’. I hope this mentality works as an inspiration for the rest of the bike industry (I am calling on you, tire, ball bearing and wheel makers!). If we all back up our products with a flexible warranty, it will be a strong motivation to build a better product. This image and many cool ones are for sale at www.123rf.com by the way. Part one of this post covered threaded, BB30, PressFit30 and BB86/92 bottom brackets. Today we will investigate some more brand specific standards. Developed by Cervelo and until today only available with their frames, BBRight is PF30 based, but makes the non-drive side of the frame wider in order to build a stiffer connection between the bottom bracket and all other frame tubes. The Idea is great to create more real estate in this congested part of the bicycle frame, but I have always wondered why only one side was adjusted. 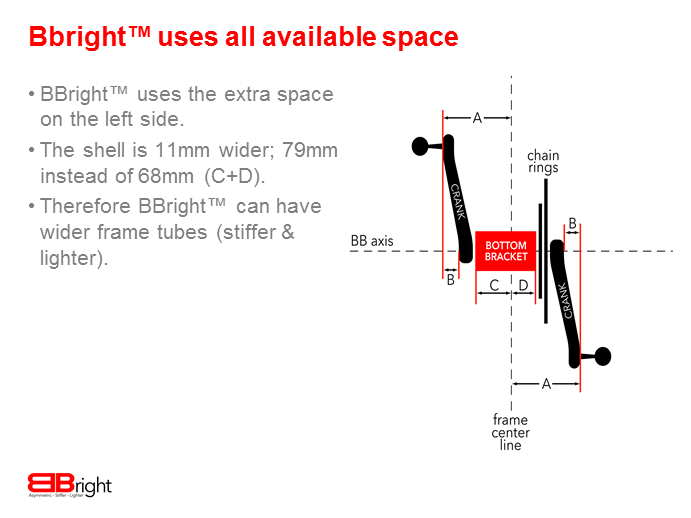 BBRight was created as an open standard by Cervelo. Until today it has not been used by any other brand except Gerard Vroomen’s spin-off mountain bike brand Open. By making the bottom bracket wider, Cervelo also ruled out the chances of fitting any BB30 cranks on their frames and most other cranks require at least one adapter or a conversion bottom bracket. This standard was developed by FSA and seems to tick all the boxes: wide set up, all carbon construction possible, looser production tolerances similar to PF30 and it fits any crank except BB30. Funny enough, this might be one of the least applied open source standards. Besides Litespeed and some Euro brands like Wilier and BH, not many come to mind. I started off this article by saying we have not found that one standard that works for everything, so there must be an element to ruin this party: Because of the large and wide BB shell, 386EVO is known to interfere with may power meters. It is hard to place magnets for cadence measuring and with a lot of spider based systems the crank seems to grind on the frame in one way or the other. Only used by Trek, BB90 for road bikes and BB95 for mountain bikes uses shimano sized bearings that are pressed directly into the carbon shell of the frame. Although the system is wide, which means stiff, it has a range of issues. The first one is that it basically restricts the user to using shimano or Sram GXP cranks. Any other crank will simply not fit. There is a mathematical chance that it does hold a 30mm spindle, but the bearing sizes that need to be applied are not up to the rigors of someone punching 1000+ watts in a town sign sprint. BB90 is a standard exclusive to Trek, wich presses the bearings directly into the carbon shell. The other issue is that the bearings are pressed directly into the carbon. With tolerances on carbon shells being what they are, this could either work well, or not so much. Another problem that I have seen is that the BB shell ovalizes over time from repeated compression of the carbon under pedaling forces. Trek’s solution for either problem is to send out a custom sized ‘V2’ bearing, which is a slightly larger version of the 6805 size that should have fit initially. Just when we thought that bottom brackets on frames were stabilizing and over time might even filter out a winner, Cannondale decided to throw a wrench in the system last year. They introduced PF30A and BB30A almost simultaneously. Both standards are based on the standard BB30 or PF30, but with 5mm added, only on one side. Hence the ‘A’ stands for Asymmetric. The official word is that it helps build frames with better chain lines, the result is that it only fits a PF30A specific crank set. That’s right. Any Shimano, Sram, FSA, Campagnolo or Rotor will not fit unless you load up a bunch of spacers. So far we have only found PF30A adapters available on the market. Kogel Bearings will release a conversion bottom bracket shortly. Oh well, that is keeping the work at Kogel Bearings interesting. We have introduced our BB30A to 24 bottom bracket and probably will build a PF30A to 24 conversion soon so you are not as limited. Listing off the issues with each and every system, I sound like an Angry Dutchman. But that is not the case, I am more a roll-with-the-punches kind of guy. As long as the bicycle industry has not made up it’s mind about how we should fit a crank in a frame, Kogel Bearings will keep on producing bottom bracket solutions to fit your parts and keep them quiet. I hope this list helps you when you are planning to buy your next frame or crank set or looking to build a full custom rig. Oh… and in case you were wondering: my personal favorite BB and crank combination is a PF30 frame with our conversion bottom bracket and a Shimano crank. I run that on most of my bikes when I’m not testing new products. I love how the PF30 allows any crank to fit and how the shimano cranks are nuke proof. With all the bottom bracket standards on the market, it is quite shocking that the bicycle industry did not find the one that works perfectly for all applications. At Kogel Bearings we spend a good amount of our day looking at bottom brackets, so I felt it was time to share the pros and cons of all systems with our friends. This information should help you find the bottom bracket and crank combination that best fits your needs. I’m not here to burn any frame builder for their choice for this or that system, or to push users into a certain direction. Opinions get strong when discussing bottom this problem area of the bicycle, so I have tried to stay objective and Kogel Bearings will keep on striving for the best possible solution given your choice of crank and frame. The good old threaded bottom bracket. Many times on forums people wish they could go back to the days where everything was simple. I argue that it was never simple, with Italian vs BSA, Campy vs. Shimano and all the different spindle lengths, but that’s another discussion. The world was a better place when everything was threaded? I beg to differ…. The fantastic thing with threaded frames is just that: it’s threaded. The cups lock into place and align themselves. Also the system is very easy to remove and reinstall should there be an issue. All modern day set ups have the bearings running nice and wide, so stiffness is never an issue. The main down sides of a threaded set up is that not all cranks fit. A true BB30 spindle will be too short to make it through the frame. Another problem is that it is not possible to cut threads into a carbon frame. Any carbon frame will need an aluminum bottom bracket shell glued in, which in itself could be a source of creaking and it is a no no for any designer trying to make the frame as light as possible. Introduced by Cannondale in the early 2000s, BB30 was supposed to increase crank stiffness with it’s ‘bigger than Shimano’ spindles. While that may be true for a shorter and thicker spindle, my experience is that the narrow set up does the exact opposite: the bearings are so close together that the system becomes unstable and power is lost through flex. This narrow build also ramps up the stress on the bearings. With the standard being designed to make sure the bearings do not fit too loose in the frame, another common problem is bearing compression. The bearings are pressed into an opening that is too small to fit, which causes the bearings to seize up. With this point and the above mentioned narrow spacing, BB30 bearings are known to have a very short lifespan. The right side of this diagram shows that the bore diameter for a BB30 shell is 41.96mm with a tolerance of +0.025, which is super tight. In order not to go over the tolerance and have the bearings fit loose in the frame, many manufacturers cut the frames on the smaller side, which causes the bearings to seize up. On the positive side, if you are looking to ride with a super narrow Q-factor BB30 is your friend. PF30 was introduced by SRAM as an open standard for anyone to use. It built on the narrow Q-factor of the BB30 but tried to fix a few BB30 issues by pressing the bearings in a cup before they were placed in the frame. The first one is the super tight tolerances that come with a BB30 frame. The PF30 tolerance is four times bigger, which allows the frames to be built with all carbon BB shells. The down side of a larger tolerance is that it is almost impossible to make the cup press perfectly in every frame. Results are creaking and (again) bearing compression, depending where your frame sits in the range. Bottom brackets have been confusing customers and mechanics around the globe for decades. It does not look as if that is going to change any time soon. Shimano’s answer to the press fit craze is called simply ‘press fit’, but more commonly known as BB86 for road bikes and BB92 for mountain bikes. It has the wide set up of a threaded bottom bracket and keeps the bearings in a cup similar to PF30. The system is typically very stable and stiff, because there is a wide BB area that the other frame tubes and grab onto. A minor down side is that the BB86 shell is smaller in diameter than a PF30, so the down tube can be wide but needs to be flattened where it meets the BB shell. A big issue with the smaller diameter of the Pressfit shell is that it does not accept 30mm spindles very well. The different solutions that are on the market between Rotor, Enduro Bearings, Race Face and our own, show that the jury is still out on how to tackle this problem. Even though I consider the Kogel Bearings solution best in class, I would still advise anyone to stay away from this combo if you can avoid it. In our next post we will be looking at BBRight, 386EVO and a few other standards before we try to come to conclusions on all these options. **If you have any questions about Kogel Bearings, ball bearings in general or our Ball Bearing Adventures, please ask them either in the comments section below, one of our social media channels or by email via info@kogel.cc. We will answer them in a highly professional, but not always scientific way. We do not shy away from many subjects. Please ask, we are here to answer. In this feature I will address bicycle maintenance, especially cleaning and how to avoid damaging your bearings while doing this. Riding for decades in Belgium and The Netherlands and now living in the Southwest US desert, I understand that the level of cleaning is not only depending on the type of riding your bike is exposed to, but also depending on your geographical location. A CX bike in Tucson, AZ probably lives an easier life than a road bike in Oudenaarde, Belgium. How much cleaning does your bike need? As I brought up in previous posts, bicycle maintenance is very much about being honest with yourself. Think what your prized possession has been exposed to and choose a matching level TLC. If you are a roadie in Southern California, chances are good that your bike can do with a wipe down every week or two weeks and a drive train cleaning every now and then. If you live in a wet climate and your Sunday rides will happen rain or shine, you will probably need a bucket with some brushes, a large sponge and soapy water to restore the showroom shine. Mountain bikes live a harder life and might need some garden hose treatment after a muddy ride. I know cyclocross mechanics that drive straight from the race course to the car wash to get all the muck off bike and kit. when racing elite CX in Belgium, bikes are not the only things that are hard to clean. Stef Wyman shows how to deal with the reality of getting that national champ jersey back to it’s original colors. While we never recommend power washing bicycles, in CX there simply are no options. Since the bikes get several treatments during the race already, the one after the race probably cannot do a lot more damage. The result is simple: drive home from the carwash and take the bike apart in order to remove any stagnant water from the frame, hubs and headset. Once you have determined the contamination level, it is time to determine the minimum cleaning level you can get away with. It is no secret that moving parts on bicycles are no fan of water. If you can avoid using it: good. One of my favorite cleaning products for years has been Pedros Bike Lust. It is a liquid that comes in a spray bottle, perfect for taking dust off a bike, and leaves a shiny residue on your parts that actually repels dirt. It’s a weird slippery goop, so keep it off brake surfaces of rims, disks and brake pads. The goal with this minimal cleaning approach is not to cut corners, the goal is to get the bike back to showroom condition with the least amount of work. Pedros bike lust was my secret weapon in Belgium. I loved how customer’s jaws dropped to the floor when they met their revitalized bike again. What if you have to use water for bike cleaning? Again, the minimal cleaning rule applies: a bucket with soapy water is better than the garden hose and the carwash should be avoided when possible. Remember that the deeper you let the water penetrate, the more time you will be spending cleaning and drying the internals of your two wheel wonder. Jorge Romero of the UnitedHealthcare pro cycling team shows that bicycle cleaning requires eye for detail. Small paint brushes are perfect for degreasing a drive train and not getting aggressive products all over the frame. How to protect ball bearings during cleaning? Trying to keep water off your bearings is the first step. Avoid spraying water directly into the headset, bottom bracket and suspension pivots is next. 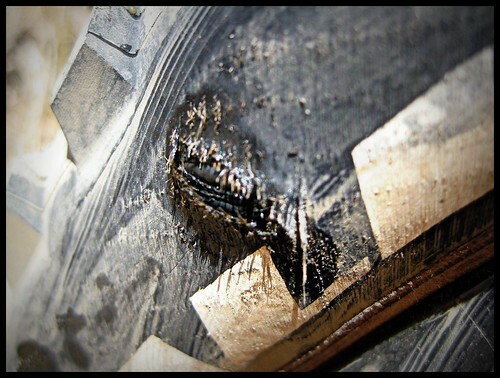 There are some steps you can take if you know your next cross race is going to be sloppy. Pack the outside of your bearings with a water resistant grease. When I was a mechanic in Belgium, I would take the fork out of the every bike during service and literally cover the lower headset bearing in a marine grade grease. It was a given that my customers at one point or another would be riding in heavy rain. The same can be done with bottom bracket and suspension bearings. Simply take off the covers, apply a layer of grease on the outside of the seals and put the covers back where they came from. Typically this adds a bit of friction, but nothing close to the friction caused by rusty races. The last step is to always think about stagnant water in a bike. Taking out your crank and cleaning the inside of your bottom bracket shell is a good one, but think of the water that can get trapped inside suspension pivot points, inside brake levers and derailleur pivots. This is where compressed air is your friend. If you are the lucky owner of an air compressor, get a gun with a long nozzle and blow every nook and cranny dry. As with pressurized water, I am always afraid that compressed air will actually force water underneath the bearing seals, but I have never been able to prove this. Keep a bit of distance when aiming directly at your rotating parts. Most cyclists care more about their bikes than many other things in life. There is a good chance you dropped serious cash when you rescued yours from the shop. It deserves the best care you can give it. Remember minimal but sufficient cleaning and prevention when you know things are going to be bad. Washing your bikes frequently will help you build up a procedure to do it thoroughly and quick. The above video of team Tinkoff Saxo shows incredible amounts of muscle memory and hand-eye coordination. Something that can only be achieved after years of repeating the same exercise over and over. Sponsorship is a sensitive subject at Kogel Bearings. 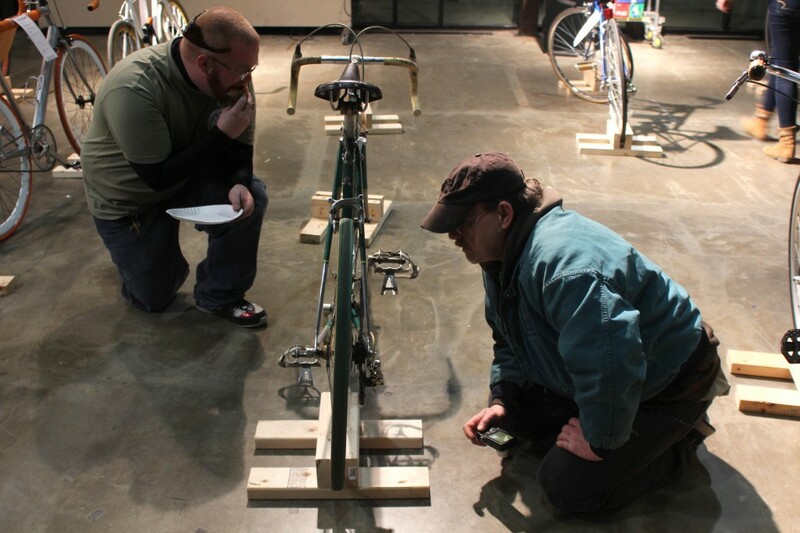 We get questions about it almost as much as we get questions about how to install a bottom bracket. And I understand it. Cycling is an expensive sport for most people, although that is relative if your other hobby is racing Aston Martins on the weekend. Add race registrations and travel expenses to your bike purchase and you’re looking at a pretty penny. I also understand that everybody loves free stuff, as you can witness if you ever visit the Tour de France caravan. People ending up in fist fights over beer coolers with the name of an insurance company printed on it or even better: used water bottles thrown out by pro riders. The big problem for Kogel Bearings is that by giving you our products in exchange for only your race results, it becomes just like the used water bottle: free stuff. The shine wears off within minutes of scoring what looked like a precious gem at one point. Will Kogel Bearings sponsor our team? We will put your logo on our jersey. So, you have a team and some are landing podium spots. Awesome! At any time we will be happy to give you a team deal if it does not conflict with the below points or one of our local dealers. Here’s the catch though: The entire team proudly wearing the Kogel Bearings logo on their jerseys but Chris King and Shimano bottom brackets in their bikes makes us look silly. Before you ask that question, have a team meeting and see if every single rider is willing to make a discounted purchase. Does anyone spot a sponsorship conflict in this picture? How do you represent our business? Here’s an obvious one: if you ride around with our logo on your jersey, you all of a sudden become the face of our business. If you race like a douche or tell the slowest person on the training ride to hurry up because you need to be home in time to watch Bar Rescue, this person is probably not going to become a Kogel Bearings fan. Be nice to people, even when you don’t want to. After your worst racing day ever, we still expect you to go to the podium ceremony and applaud the winners. While you’re at it, make sure your social media makes us want to be you. Athletes posting pictures sunsets and post ride espressos are more likely to get our support than athletes having strong opinions on controversial political topics. So you trained hard for your big race, but someone else wanted it more? You even dropped a chain? If your reaction ends up on youtube like this video, expect the contract negotiation with your sponsor to be up tomorrow at 8am. When you approach a business and ask to receive their products for free, always keep in mind the number one goal of any business, which is to show a profit at the end of the year. By sending you a free bottom bracket or set of wheel bearings, you have just put a $200 negative transaction in our account books. Always keep in mind what you do to replace that money and a bit more. That makes the transaction valuable to your sponsor. This could come in the form of promoting the brand to your friends and fans in such a way that they want to buy, it could be in getting a review written on your personal blog or better yet in a magazine. By doing that, you have just saved the company some advertising dollars or generated a sale for them. Imagine if you would talk to your local bike shop and turn them into a devoted Kogel Bearings dealer. You’re guaranteed a spot on our team for a good while. So now that you have decided to be nice, sponsor logo correct and understand the business side of your deal, try to have fun with it! This womens team recently came on my radar. At the time of writing, Fearless Femme p/b Haute Wheels Racing still have to start their first race and I already consider myself a fan. A team of badass girls in well-coordinated kits, riding expensive custom frames and with Lexus team cars. On top of that they will kick most people’s rear end on a thirty minute climb or in a sprint finish. What struck me most is that every single post on their Facebook is about having fun and shows that they think outside the box. We would be honored to have them promoting our brand next year. In fact, Amy Cutler is already part of the Kogel family for some time. Helen Wyman is another racer we have been proud to be involved with. Here she is, exchanging high fives with fans right the first ever world cup race on home soil. She did not finish in the spot she was aiming for, but she was still all smiles in front of these people and the cameras. But, I asked if you will sponsor ME? That’s entirely up to you. Although road and mountain bike racing season is in full swing, cross season is coming up. Reach out at any time with a well thought out proposal and Kogel Bearings will be all ears. An entertaining view on the bicycle world. Always professional, rarely scientific.